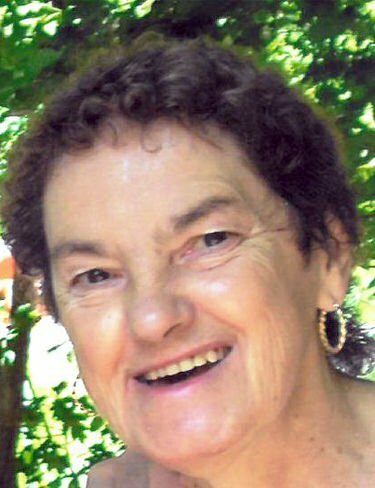 Sharon Ann Alexander SUDBURY — Sharon Ann Alexander, 71, formerly of Poultney, died Saturday, April 6, 2019, after a long illness. She was born July 25, 1947, in Granville, New York, the daughter of Raymond and Charlotte (Batease) Petty. She was a 1964 graduate of Granville High School. Mrs. Alexander worked for Norton Sealant Co. in Granville, Staco Thermometer Factory in Poultney and Sunrise Orchards. Survivors are her children Lynn Petty, of South Carolina, William Keyes Jr., of Granville, Sue Keyes, of Hampton, New York, Raymond Keyes, of Sudbury; four stepchildren Steve, Linda, Lori, Larry; 11 grandchildren, 17 great-grandchildren; her siblings Ernie, Sherry and Donna. She was predeceased by her husbands William Keyes Sr., Gerald "Jerry" Alexander; her fiance, Rene Preseau; her stepfather Ted Barden; and her brothers Vernon, Robert, Gordon and Raymond. The funeral service will be held at 11 a.m. Thursday, April 18, at Roberts-Aubin Funeral Home, 266 Allen Ave., Poultney, where a calling hour begins at 10 a.m. prior to the service. Burial will follow in Poultney Cemetery. For online condolences, visit www.robertsaubinfuneralhome.com.